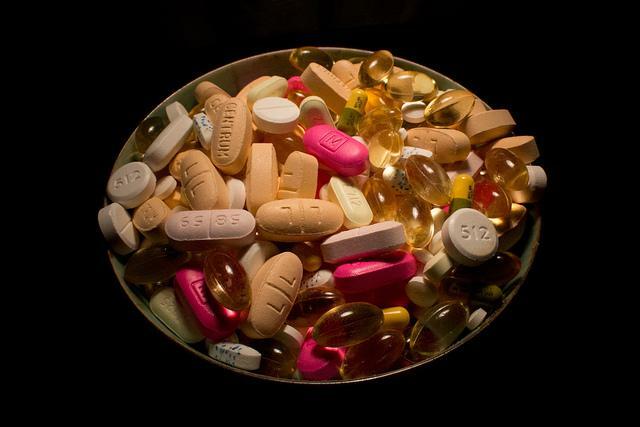 Multivitamins may benefit older women with breast cancer, a new study has found. Researchers from the Albert Einstein College of Medicine at Yeshiva University have determined that among postmenopausal women with invasive breast cancer, taking multivitamins with minerals is associated with a decreased risk of dying from the disease. The findings suggest that the popular supplements may have a protective effect for women battling cancer. Published in the journal Breast Cancer Research and Treatment, the new study surveyed data from the Women’s Health Initiative (WHI) – an index of 161,608 women ages 50 to 79, compiled over a period of ten years by the National Institutes of Health (NIH). The research team focused on the 7,728 women who developed invasive breast cancer during the WHI. According to lead author Sylvia Wassertheil-Smoller, about 38 percent of the subjects had reported frequent or regular multivitamin use. "Our study offers tentative but intriguing evidence that multivitamin/mineral supplements may help older women who develop invasive breast cancer survive their disease," she said in a press release. Read more: 'Motorboating’ For Breast Cancer Donations: Has Breast Cancer Awareness Become Over-Sexualized? Subsequent analysis showed that the women who took multivitamins were 30 percent less likely to die from the disease than those who didn’t take the supplement. Intriguingly, the link persisted when the researchers controlled weight, smoking habits, physical activity, alcohol use, mental health, diabetes, and many other factors that may influence mortality. Read more: Study Finds Possible Link Between BPA And Breast Cancer, But Were The Results Twisted? The current study thus exemplifies the difficulties of establishing clear correlations between multivitamins and quantifiable health benefits. On the one hand, the observed relationship between supplements and mortality rates was very strong, and did not seem to diminish as other factors were taken into account. That said, some experts submit that these benefits are mere illusions resulting from a reversed causality: healthy people who take multivitamins every day are not healthy because of the actual pills, but because they care enough about their health to begin with – so much so that they spend time and money on multivitamins every day. In this sense, supplement intake may be an effect of good health rather than a cause.